These are just two of the many such incidents that keep happening all over India. Why I am posting these two stories today? It is because of lot of negative news, the acrimony, the hate speeches, the amount of religious intolerance around us, especially, on social media, which prompts me to share these stories. The first report is from Madhya Pradesh. The temple was to be constructed in Khedakalan in Morena. All the Muslim families supported local villages. 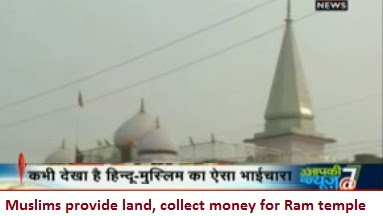 They offered land and also collected money to ensure that the temple is constructed. The Sarpanch says that Muslim families facilitated the work and collected Rs 50,000, helping with the temple construction. The story can be read in Hindi and also be seen in a video link [See at the bottom of the post]. The second report is from Haryana. The mosque was too small. 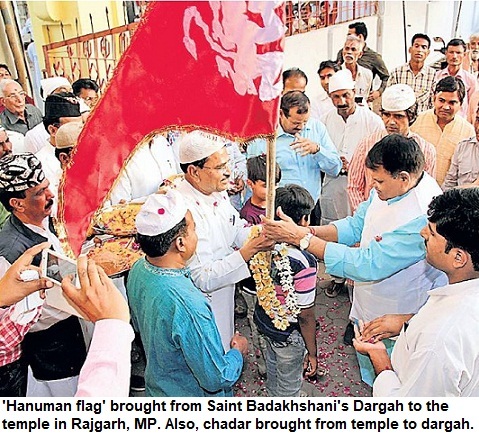 Hence, a local resident Deepak Tyagi donated his land for expansion and further construction of the mosque. This happened in Dadasia village in the State. All Hindus of the area supported him. Muslims were overwhelmed with the gesture. Further, the temple priest was the first to lay foundation stone for the construction-expansion work of the mosque. Qari Usman and Pujari Satyanarayan Mishra stood side by side. Doesn't it gladden our hearts? It must and it is this legacy and heritage we are proud of, surely. This is the same country where we hear about extremists and radicals killing over choice of food. If Bajrang Dal creates fear, instills insecurity among people in Mangalore, what Congress government in Karnataka is doing? In Mangalore, the Bajrang Dal's politics of fear is ultimately about good business sense, says a report published in Scroll. It tells us that Bajrang Dal is feared by people including mall owners, shop owners and common citizens. Hence, there is a huge demand for private security. The Bajrang Dal runs its own security service to meet this demand. So, if you need 'protection' from Bajrang Dal, you have no option but to again go to Bajrang Dal and hire their security personnel, who are obviously from the Bajrang Dal. This business model is based on fear. You want to avoid extortion [paying hafta] or escape undue attention of those who don't need to fear the law, the best way is to pay them officially, through their agency. 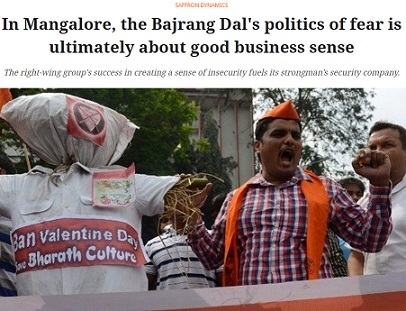 Dhirendra K Jha's report that appeared in the Scroll, reveals how the the outfit has "managed to breed a sense of insecurity...(that) generates a demand for security guards, which are then supplied by a company run by the Bajrang Dal's top leader in Karnataka". It quotes the leader, Saran Kumar. “All the supervisors and most of the security guards who work for the company are Bajrang Dal workers,” Sharan told Scroll.in. “As a Bajrang Dal leader, it is my duty to secure the livelihood of karyakartas [workers]", he says. Ruling party ignores extortion, politics of fear: Congress' responsibility! Once again, you end up criticising the Bajrang Dal for its strong-arm tactics. But who is responsible? After all, Bajrang Dal is just an outfit and if it is responsible for creating a 'climate of fear', there should be action against it. It is Congress that rules Karnataka. Coastal Karnataka has been notorious for right-wing outfits' moral policing. Bajrang Dal, Ram Sene and other similar groups have been active here for long, still, Congress never took stern action against them. The outfits that should have been banned, function openly and without fear of the law. Instead, they run a parallel government on the ground. How is it that Congress always allows such groups to be active in states that it has ruled for decade? Shiv Sena is just another example. Congress ruled for most part of the last four decades or so, [from the beginning when Shiv Sena gained strength]. Its workers and leaders remained outside the purview of law. These groups also spread hatred and end up hurting Congress too. Responsibility of RSS: Does Sangh approve of VHP leader Sadhvi Prachi's hate speeches? Hate speeches have become the sure-shot way to get publicity in India. They serve many other purposes like communal polarization. With UP elections getting nearer, inflammatory speeches are more in vogue. "It is time to make India free of Muslims". That's a call for Genocide, isn't it? Unlike many other countries in Europe where such comments can lead to imprisonment and tough penal action Indian 'system' is quite tolerant of them. Sadhvi Prachi is not alone. There are many others like her. But enough has been written about them. Who should be blamed for her hate-speeches and which organisation should be held accountable? 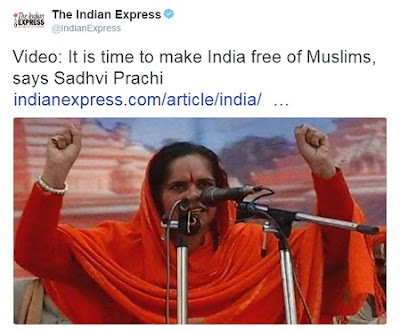 Sadhvi Prachi is NOT a BJP leader. She is a VHP leader and VHP is linked to the Rashtriya Swayamsevak Sangh (RSS). Hence, it is RSS leadership that should be held accountable for her utterances. 1. RSS leaders say that they are 'nationalists'. RSS leaders talk about 'shuchita', morality in public life. So do they approve of such speeches? If they don't, shouldn't they clarify or give a dressing down to those who use such language. 3. ...But Sadhvi Prachi is not in BJP, it's a fact. The speeches may help the party politically. 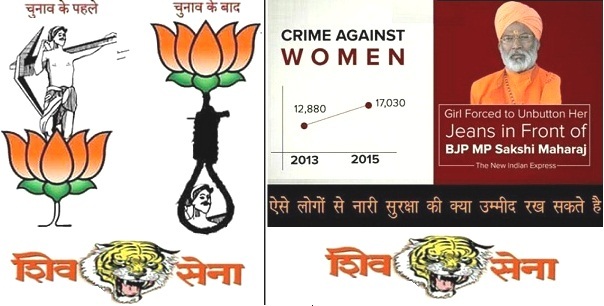 However, the BJP conveniently says, "we have nothing to do with her", and it's right too. The speeches stoke communal hatred. 4. If RSS is conscious about its image and claims that it practices what it preaches, it should strongly denounce Sadhvi Prachi's language. Does RSS leadership, especially, its Sarsanghchalak Mohan Bhagwat, approve of such speeches? He must be asked and should make it clear. 5. There are legal provisions and, of course, police can take action. But mostly it doesn't happen. If ever an FIR is registered in such a case, charge-sheets take years and often case is withdrawn by the same or other government. A man from Raibareli has written a letter to President Dr Pranab Mukherjee, demanding action on Zee TV. The man--Mahdi Hasan Aini Qasmi, has written that Zee TV has been spreading hatred through its news stories, which is affecting communal harmony. Qasmi has mentioned that some TV channels are indulging in vicious propaganda that is affecting the country. But he has mentioned Zee TV specifically in the complaint. The letter in Hindi is attached with his email that has been sent to several media houses and journalists. In India's democratic setup, the President may not order such an action, but Qasmi, who is pained with the coverage of TV channel, has written to the head of the state and the highest constitutional post in the country. Zee TV has been facing flak for its coverage for quite sometime. Thousands have already signed the petition to ban Zee TV for airing 'biased and misleading journalism'. I am an Indian Muslim, my ancestors sacrificed their lives for freedom of the country. I belong to Nasirabad village in Raibareli, where people from each house participated in independence movement. We tell the whole world with great pride that we are Indian Muslims. Whenever there is a threat to nation's integrity, we are ready to give our lives for the security of the nation. Right now, attempts are being made to stoke communal passions in the country. Media has a role in vitiating the communal atmosphere and Zee TV is leading the pack, having taken up the task to spread falsehoods and hatred. Such TV channels are weakening the foundation of our country, with their anti-national acts and their aim is to break the secular fabric of the country, by targeting the Ganja-Jamuni culture of the country. 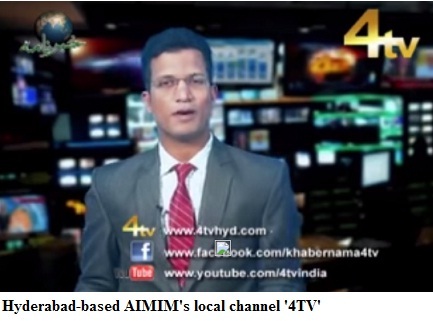 These channels bring a bad name to the fourth estate. I urge you to take cognisance of this complaint and order a ban on Zee News. Such a channel that spreads lies and wants to throw the nation into fires of communal hatred has no place in our country. The Samajwadis [socialists] have been a political force in North India for decades. In Uttar Pradesh, Mulayam Singh Yadav's SP has been the main party. But, they continue to get bad press, compared to other parties. Dozens are killed in BJP-ruled Haryana and violence of such scale that hadn't been seen anywhere in India but media would never call it 'Jungle Raj'. Similar was the situation during the Patidar agitation in Gujarat. There were attacks on police stations, houses of ministers, firing led to deaths, and there was complete breakdown of law-and-order, but it was NOT TERMED JUNGLE-RAJ. The reason is North India's Hindi press [also Hindi channels] is pro-BJP and is biased towards third parties. From mid-80s, Mulayam Singh has faced a hostile Dainik Jagran, Aaj, Amar Ujala and Swatantra Bharat. However, he always used 'largesse', 'freebies' and other ways to keep owners and journalists of these groups in good humour. But time and again, the same groups have been uncharitable and excessively critical of his party. These were the media groups that were soft on BJP and even supported it during the Rath Yatra. These groups created communalism and divided Indian society. Yet, Mulayam Singh Yadav and his SP never probably gave a thought to setting up their own media. The situation is not too different in Bihar. As long as Nitish Kumar was with BJP, he was 'Sushasan Babu', but if BJP is not in the power, it will always be 'Jungle Raj', either it's Lalu or Nitish at the helm. But 'third parties' still fail to understand this? Are they fools? Or they have no vision? How can, such 'ghaagh' politicians be so vision-less? 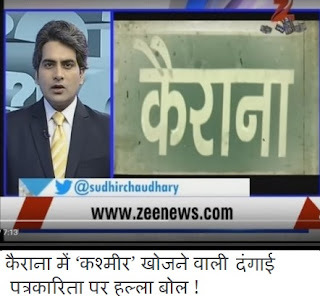 They support Zee TV or India TV, despite knowing that these channels will always bite the hand that feeds them, and will defame their governments. In South India, every party has its channel. Either its DMK or AIADMK, TDP or TRS. Even AIMIM has a big Urdu paper and a local cable TV channel. What stops the 'third parties' from doing it in North India. They don't lack funds. The third parties haven't been able to create their internet wings either. We will talk of Bahujan Samaj Party (BSP) later, though it has also failed to set up its media arm. It is an age-old tradition that continues till date. Everyday during the holy month of Ramzan, the devout start and break their fast with the sound of cannon blast in Raisen. The cannon is taken up to the fort on the top of the hill just before Ramzan [Ramadan] every year, in this Madhya Pradesh town. This old cannon is kept in the Collectorate's treasury for the remaining part of the year. However, during Ramzan, it is taken to the fort, and it's fired twice--before dawn when the 'roza' [fast] begins and later in the evening, to signal the 'iftar' [breaking the fast]. It is probably the only place in the country where this tradition continues. Raisen is now a district but was once part of Bhopal riyasat, the princely state of Bhopal, and is situated nearly 35 km from Bhopal. Sakhawatullah now has the responsibility to fire the cannon. The Shahar Qazi, municipal corporation and local Muslims jointly bear the expenses of the gunpowder that is used every year to fire the cannon, here. Now an arms training camp in Aligarh, no trust on police: Is right-wing preparing for a war in UP? Uttar Pradesh seems to have become the state from where only bad news comes these days. 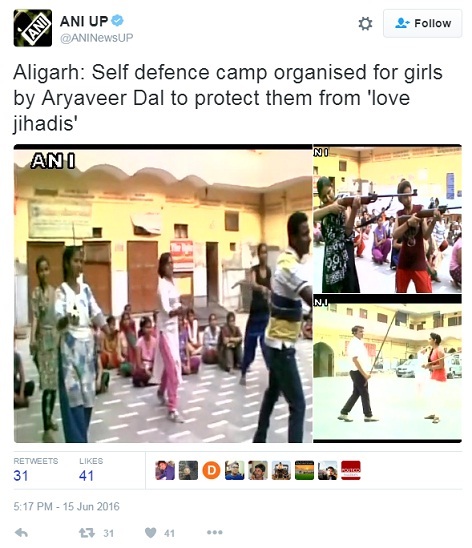 Now an arms training camp is being reported from Aligarh. News agency uses the term, 'Self-defence camp'. The organisers claimed it is to protect them from 'Love Jihadis'. It is well-known that 'Love Jihad' was a term coined by right-wing. The aim was to stoke communal passions and create religious divide between Hindus and Muslims. Various organisations are holding such camps across UP. From Durga Vahini to Aryaveer Dal, it's as if, they are preparing for a war. In most of the cases, there is no permission from the district authorities. Besides, the question is whether there is no trust in State or police, that such groups have begun imparting training. And clearly the training is to fight not the enemies of the country, but 'own countrymen'. While most people barely get to marry once in their lifetime, Jiyaram Jat had 55 weddings in his life. Jat, who hailed from Barmer in Rajastha, was a charlatan who kept marrying girls, one after the other. Hindustan Times has reported his modus operandi which was unique. He operated in the part of Rajasthan where child marriage is rampant and the girl is married off at an early age. However, the girl is not sent to groom's house for many years, until she gets mature. The 'gauna' ritual takes place later and hence when the groom comes, the girl doesn't recognise him as she was a child at the time of marriage. Posing as groom, he would go to the bride's house, introduce himself as the husband, and would cohibit, before escaping with valuables from the house. In areas, where women members of the household don't even speak to son-in-law, he took advantage of the customs. Most families won't report it, as they feared 'ignominy'. The victims would not report in most cases, as an FIR would lead to the real groom's family getting to know about the incident. Hence, he managed to continue his acts, for years. 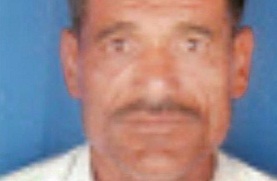 The first case was registered against him in 1994. He had several cases of sexual harassment and molestation against him. Hindustan Times reports that Jat would only strike when women were alone in the house. “He would walk into such households after nightfall and introduce himself as the girl’s husband. Since she was married in childhood, she wouldn’t recognise him,” the officer said. He would then cohibit with the bride, and decamp with the jewellery to be sent with the girl to her in-laws before daybreak. 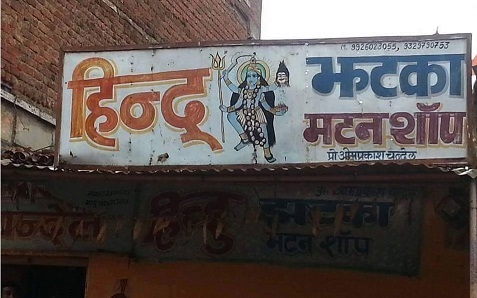 Kairana, a town in Shamli district in Western UP, is suddenly in the news for wrong reasons. "This is part of a big conspiracy. 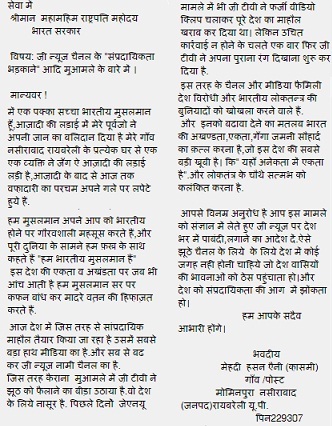 As UP election draw nearer, communal issues are being raised to create communal division", writes MediaVigil. It regrets that while journalists should have exposed how false stories are being planted to spread communalism, the reality is that they (journalists) are part of the process to vitiate communal atmosphere. Senior journalist Pankaj Chaturvedi [on his Facebook account] has mentioned that Muslim population increased in the town as Muslims affected in the Muzaffarnagar riots, came to setle down in Kairana. Chaturvedi says that the story of 'killing of Hindus and exodus' is totally false and is a pure work of fiction. He mentions that many of them had died years ago, some as early as 20 years ago. The list that is being circulated is false. "Madan Lal was killed 20 years ago, SP Jain died in 1991, Shri Chand in 1991, Subodh Jain in 2009, Sushil Garg in 2000 and Dr Sanjay Garg in 1998 and all those accused in these killings were Hindu". "Still, if people have left, then tough action should be taken and there should be a probe that includes people of civil society. Further, action should be taken against TV channels that are spreading hate and against those who are trying to inflame communal passions-- on one hand rumours, on the other arms' training camps". For a party that is known for its strong propaganda arm, and which can turn 'Malda' into national issue, while failing to deal with Jat agitation or Patidar movement and violence that was thousand times more in scale. Finally, the central bureau of investigation (CBI) has made an arrest in the case of Dr Narendra Dabholkar's murder. Virendra Tawade, a member of the Hindu Jagran Samiti (HJS), which is an off-shoot of right-wing radical group Sanatan Sanstha, has been arrested. Tawade was arrested by the CBI sleuths from Panvel, reports Indian Express. "Tawade was also in contact through emails with Sarang Akolkar...absconding in the Goa blast case of 2009", report says. Akolkar has a red corner notice issued against him by the Interpol in connection with the terror case. Though Sanatan Sanstha members have been arrested for their role in bomb blasts in the past, it hasn't been banned as yet. The State police had suspected its role in the murders of rationalists and secularists. But they made no arrest. Congress was in power in Maharashtra then and also UPA was at the helm in the Centre. But the group was not banned. In fact, state Congress leaders claimed that they sent report but Union home minister said that he didn't get it. The High Court had asked the CBI to conduct probe. Now the CBI has made its first arrest in this case. 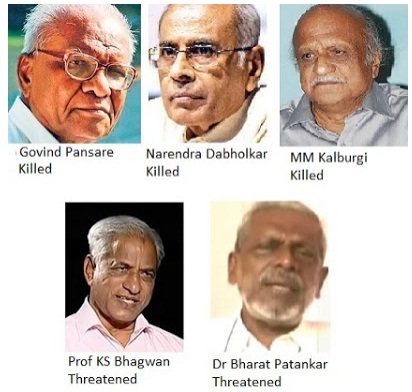 Rationalists and secularists like Govind Pansare, Narendra Dabholkar, MM Kalburgi [Karnataka] were murdered while Prof KS Bhagwan and Dr Bharat Patankar were threatened. 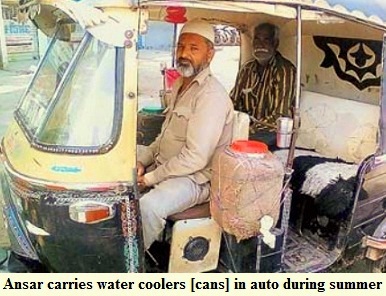 Mohammad Ansar is an auto-rickshaw driver in Bhopal. Thorughout the summer season, he carries cool water in his auto. When the auto is at the stand or is parked on the road side, the passengers, by-standers and people on the street, can quench their thirst. The glass is attached to the rod in the auto-rickshaw, as you can see in the photograph. Ansar carries around 20-30 litres of water in the auto. He brings it from his house. Ansar has been carring water for the last three years. As he also remains on the road throughtout the day, he realised the need for water. Hence, he decided that he would carry cold water in the auto-rickshaw. He says that he feels satisfied when someone who is thirsty and tired, drinks the water from his 'auto-pyaoo'. Bhopal-based newspaper Sandhya Prakash has carried the report about Ansar this year. That, any step, howsoever, small you take, for the benefit of others, is not small, and it goes a long way. You can do good, help others and earn people's blessings, even while conducting your routine job. When you do something good, people not only realise its worth but you get returns in many forms--name, fame and also blessings. The biggest is the satisfaction and happiness that you are doing something, positive. Saint needs luxury vehicle, yet won't pay tax, MP government waives it: Isn't it majority appeasement? A saint is supposed to live a life of austerity, as he voluntarily chooses the path. He shuns luxury and family live. But saints in India are high-flying, who prefer luxurious cars, live in AC and enjoy all the best things in life. I don't mind. Many Muslim Ulemas too lead such luxurious lives. It's fine, their choice and the bhakts are happy. But the problem begins when the cost of this luxury is borne by the taxpayer, the ordinary citizens. 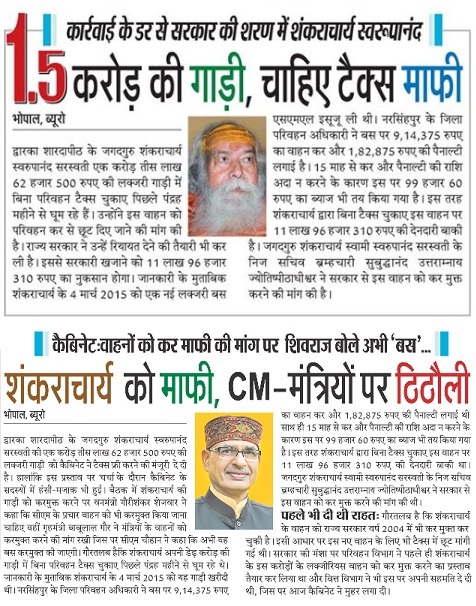 Shankaracharya Swaroopanand has been travelling in a luxury vehicle that costs Rs 1.30 crore, reported Pradesh Today. Many other papers also reported it though. He hadn't paid the tax and asked that it should be waived by the government. This luxury van has a lift inside, an AC, washroom, TV and high-quality cameras. On LED screen, the seer can view the happenings from a distance of nearly 1/2 kilometre. The luxury van [bus] is registered in Narsinghpur in Madhya Pradesh. The RTO has slapped penalty too as tax hasn't been paid as yet. In all, around 13 lakh had to be recovered. Shankaracharya was not in a mood to pay. So, government was 'forced' to waive the amount. It was brought in the cabinet and the chief minister decided that there would be no tax charged on the vehicle. Whose appeasement is that? 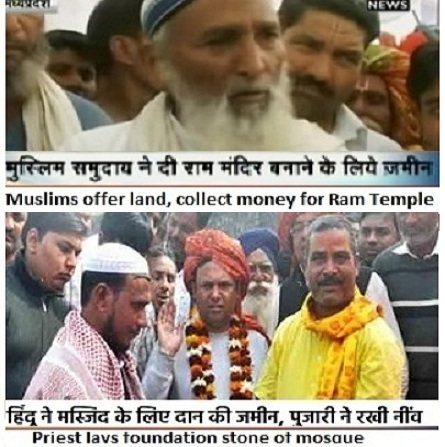 Majority or Hindu appeasement, isn't it? The reality is that all forms of appeasements are wrong. Will it benefit an ordinary Hindu? No. Why governments feel that they are powerful and can take any action, legal or illegal, though they are elected by citizens. When Assam chief minister Sarbananda Sonowal attended a Roza Iftar party, it led to strong reactions from right-wing on social media. Suddenly, Twitterati were commenting on the practice of politicians attending 'iftaars' and it was termed as appeasement. Many BJP-leaning people on Facebook and Twitter who were earlier Sonowal's ardent supporters were upset and their reaction was that he shouldn't have gone there. 1. First thing, a politician represents all the people. 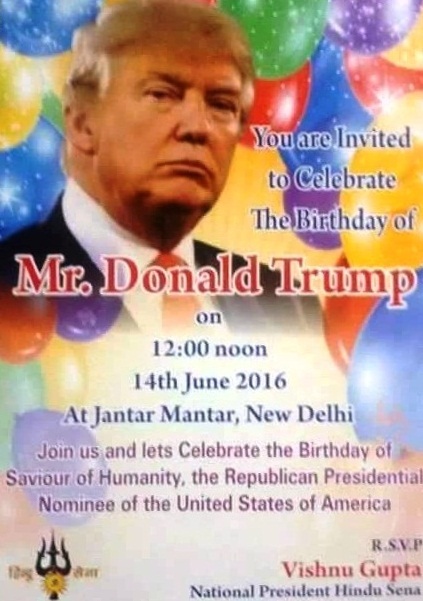 Just like he attends Hindu functions, he can attend Muslim or Christian or Sikh events too. 2. Second thing, just becoming a politician or member of a political party doesn't mean you sever all your relations. You are a human being with friends from school, college, past, and who invite you. Then, there are business partners, Muslims in your own party and they will invite you. 3. Third point is that it is not to get votes at all. He also knows that Muslims don't have a wonderful relationship with BJP. He has just won and there is no election in near future. For Muslims, who say that there is no need for 'political iftaar', that is another debate, and individual Hindus or Muslims are also intelligent enough to know who to vote for or not. 4. We live in a society and there are Hindu, Muslim, friends from all sections. One can't cut himself/herself off from opponents. He wasn't in BJP when he was born. And even those who may have been born in party, have Muslim acquaintances. 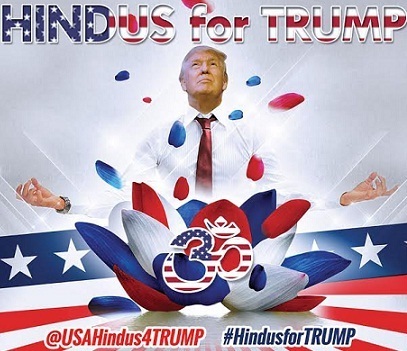 Of course, right-wing guys on social media [and real life] expects BJP and Hindu leaders to severe all connection with Muslims, but it is impractical. 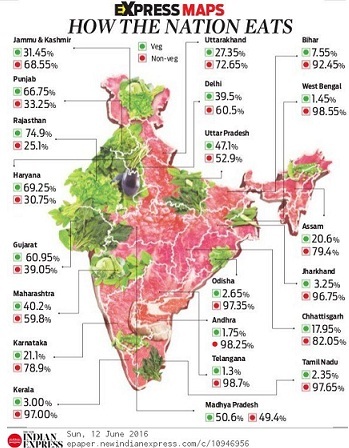 Twitter handle @AnnihilationofCaste wrote that in a state that has more than 30% Muslims [37%], he can't cut himself off from the section of population. Obviously. But for the passionate hate brigade, it is blasphemy. The leader has failed them. 5. Last but not the least, there are few who feel that Hindu politicians go to Muslim events but Muslims don't go to Hindu events. Sorry, they have no idea and have skewed vision [narrow eyesight]. As they don't want to see, else they will find Muslims going to all Hindu events wherever they are invited. Qazis, Ulemas and ordinary Muslims going to attend Hindu religious events. They go to Kumbh too and attend bhandaras as well. Also, sit through 'puja' silently and respectfully. Yes, we don't need politicians hosting iftaars but if they do or they attend an iftar, there is nothing wrong. And please stop saying that it is for votes. No one gives votes because of iftaar parties. Reason: Organised right-wing has taken things to such level that when a Hindu politician even attends 'iftaar' [at a friend's or Muslim organisation's place], it is termed as Tushtikaran or Appeasement, though there may be puja [& other religious events] in official functions & its not Majority Appeasement. If a leader goes to meet Sikhs and they offer him 'pagri', it is not termed Tushtikaran. But if a politician just goes to iftaar, it is 'Tushtikaran'. And why do you want to stop every interaction where people at least get to know something about other's religion. Non-communal, genuine Hindu politicians at mohalla level are getting pushed to wall because the moment a politician goes to iftaar, it is termed 'appeasement'. So shall everybody stop these traditions? In CM House in Bhopal, all festivals are celebrated from Diwali to Holi, Guru Parab to Christmas. Nothing of Muslims, just an iftaar once, where Muslims go. Do you want all this too, to go. It is not the Western secularism practiced in certain countries where there is no religious association anywhere. Here, you will have all religions. Here is a series of Tweets after the controversy when right-wing Twitterati alleged that Hindus go to Muslim functions but Muslims don't do it. * Topi or Tilak doesn't Islamise-Hinduise or stereotype. There are courtesies too, something is culture, something is your local society too. * Muslims go to friends' places for 'Bhagwat katha', 'Bhandara', 'Bada Mangal' all sort of celebrations & so do Hindus in Muslim events. * When there is death, every janaza in my city has Hindu family friends stand at Namaz-e-Janaza and Muslim friends encircling pyre. * One of my Hindu friend’s son was critical and Muslim girls were reciting Quran sharif andoffered taravih outside ICCU. Last week, This is India. * One of my Hindu friend's son was critical & Muslim girls were reciting Quran Sharif, and offering taravih in ICCU. Last week. This is India. When Azam Khan had said that he would approach UN regarding atrocities on minorities in India, there was wide condemnation. But the day is not far, when it may happen and everyone would be embarrassed. Today, Sadhvi Prachi says that India has to be freed of Muslims. If law fails to act and the beef killings continue, family of victims continue to be harassed, arms training camps are held and there is growing fascism, what will happen? We are treading a very dangerous path. It is unfortunate that Sadhvi Prachi and leaders of her ilk don't face the law. Prachi has repeatedly spread hate, but she hasn't been brought to book. In fact, she even said that there were terrorists in Parliament, however, even after a privilege motion was moved, she is yet to be taken to task. Clearly, law is not working in this country. Surprisingly, after the report of hate-speech appeared, people on social media reacted that the media shouldn't report these incidents. This is even more shocking. Because it is a serious hate crime and if media doesn't report, there won't be force on authorities to act. These are not mere speeches, they carry message, the majority and minority get used to it, it has major psychological affect, it weakens, subdues, makes the minority a real second class citizen. Also, then, they can easily deny later that they made no speech. Hate speech is serious as it leads to communalisation. 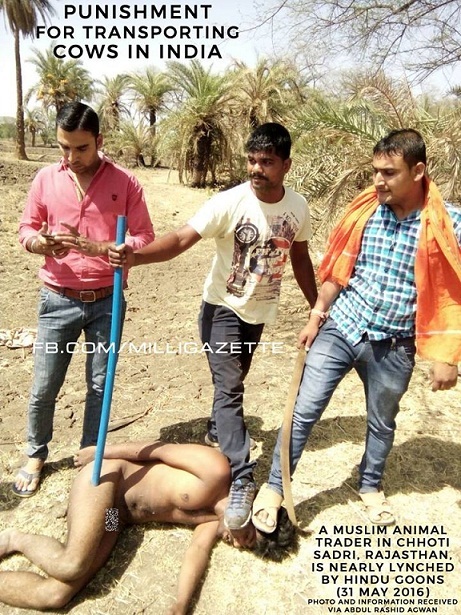 You spread poison in society, preach hatred, which prompts them to commit crimes like murder of Akhlaq. A temple makes an announcement and the father of an armyman is killed. If we aren't learning, we are allowing the hate-mongers to get emboldened. They know that they are above the law. Or perhaps, that's their utility. They issue statements which BJP leaders won't officially say but such statements help the BJP on the ground--in spreading communalism, a head of polls. The INDIAN EXPRESS report about Sadhvi Prachi's statement and the video. Why Yadavas are made villains so easily and why it is so common to talk about Yadav-raj or use words like Yadav-gardi? Aren't there other castes, members belonging to different religions and groups, who are powerful and indulge in lawlessness! On Facebook and social media, people easily dismiss SP or RJD rule as 'Yadav-waad' and post blatantly casteist, anti-Yadav posts. There must be some reason! After all, why it happens that just three-four Yadavas in an office or appointment of 10% Yadavas [as per their representation] raises issues of 'Yadav-waad'. 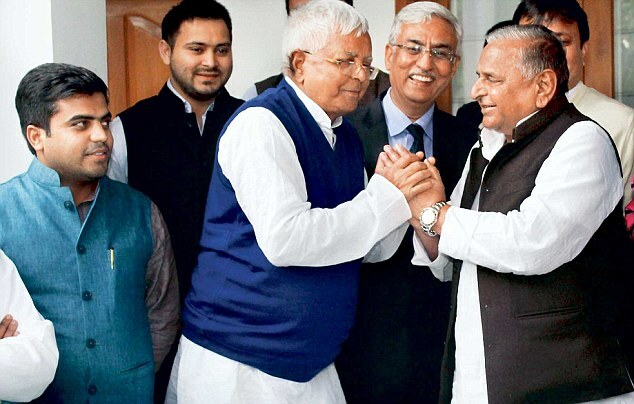 That's the caste which changed status quo, snatched power from Upper Castes in entire North India--UP & Bihar. The Upper Castes are out of power since 1989 in UP-Bihar. If you see it in this context, you will realise, why Yadav is the villain. Muslims were already out of power structure. The powerful Brahmin-Kshatriya-Bania and Kayastha leaders are no longer holding the reins. But they still dominate mainstream media. Some of our 'intellectual friends' would say, 'Yadav to waise hi dabang jaati rahi hai...'. Yes, they would say it and you can't expect anything better. Casteism blinds us to such an extent that when all 185 persons belonging to Upper Castes are appointed in a single institution in UP, it never leads to the charge of casteism. Your personal feelings about SP, RJD apart, they have been a power, and have changed power equilibrium in North India. Hence, they will be villains. This is the main reason Lalu Yadav is hated by the influential section of media. And also, why it becomes 'Jungle-Raj' so easily in UP or Bihar, but Gujjar agitations in Haryana, Patidar movement in Gujarat or Vyapam killings MP will never make it 'Jungle Raj'. "I don't have to be what you want me to be, I am free to be what I want." This earthshaking statement was made by Cassius Clay, who was just 22, a day after he became world heavyweight champion. He had changed his name to Muhammad Ali. A black man had cocked a snook at White America and embraced Islam. America was outraged. Worse, on his side was Malcom X, the most demonised man in USA. Soon Ali was to give another statement that was equally volcanic. It was Vietnam war and Ali had to go as a soldier to fight in Vietnam. What he said is now part of history. 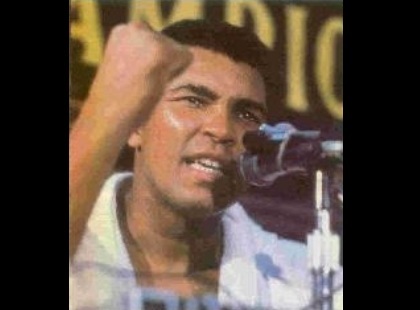 Ali declared NOT to fight for America. " I don't got no quarrel with the Vietcong (I have no issues with the Vietnam people)". Ali was the most hated person in America now. Even black leaders criticised him. Entire America was against him. Government wanted to persecute him. But he was unperturbed. Imagine, an individual standing against the 'nation'. But Ali was now a man who was above petty geographical boundaries. As a black, his community was victim of imperialism and he didn't want to be part of it. Ali was hated but he stood for his people, race and humanity. He was against war. He was stripped off his title in America. He was victimised but he knew he was championing a greater cause. No one believed he would make a come back. Ali said, "I am fighting for Allah, I am fighting for my people. I am not fighting for money and fame. I am not fighting for me". He risked everything in defying the draft [fighting in Vietnam]. While White America hated him, red carpets rolled for him across the world. Emperors, heads of states welcomed him in Africa, Asia. World leaders like Nasser, Kwame Nkrumah honored him. He was part of the Islamic fraternity where colour of skin does not make any man superior or inferior. Now, Ali was ruling hearts across the world. Millions chanted his name wherever he went. he became the hero of Asia and Africa. He was the most potent symbol of black pride. When Ali denied to fight for Vietnam, no one in his place would have dared to do so. Ali became a world icon. He was stripped of his world champion belt but, finally, there were voices in his support. He lost precious years but was again back in ring after three years. In 1974, the old Muhammad Ali came back to right, to fight undefeated George Foreman, 24. 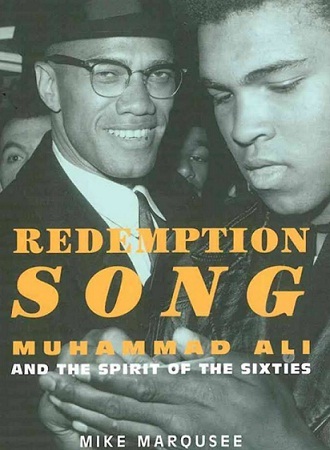 Ali was now old by the boxing standards but he was fighting for his race, his people..
About Foreman, he said, "He represented America, the flag, I can not afford to lose. I did not fight in Vietnam when I was young. Why should I, they treat blacks as dogs here and me not going to Vietnam". 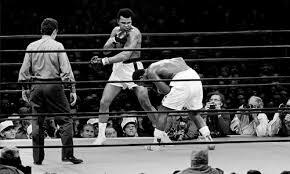 After six rounds, Ali was again the world champion. Finally, Ali was an American hero too. In 1996, US made amends for its past mistakes. A Parkison's stricken Muhammad Ali lit the Olympic flame and America accepted it's greatest hero. The photograph shows cow vigilantes standing with their feet on the head of a Muslim cattle transporter. After brutally breating up the cattle transporters [nearly lynching them], these right-wing extremists are giving a pose. That's just one of the several such incidents that are reported from all over India. It happens in MP, it happens in Rajasthan, it happens in Jharkhand, it happens in UP, in Haryana, in Himachal, in Jammu, it happens everywhere. People transporting cattle are beaten up, tortured and even killed. But even after such brutality and barbarism, the police that is generally mute spectator, register cases against the victims. That's he harsh reality of 21st century India. Right-wing extremism has become mainstream in India. The wish to turn India into Hitler's Germany and turn minorities [Muslims] as second class citizens, was always in the heart of those who are part of Hindutva movement. But, in the last two years, it has become a nationwide phenomenon. Surprisingly, this form of terrorism, doesn't get reported adequately in Indian media. 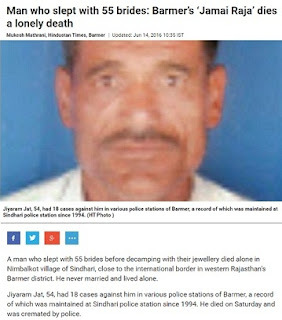 Most 'national' newspapers ignored the Rajasthan attack story and it was not worth 'prime time' on TV channels. India is a world's biggest democracy. With a population of 1.2 billion, India has also a huge Muslim population, nearly 200 million, which is more than the population of Britain, France and Germany combined. 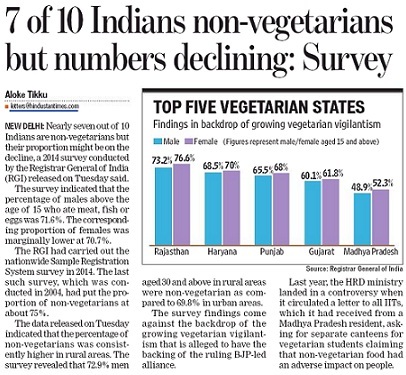 Yet, the right-wing vigilantes that are part of the umbrella Sangh Parivar have managed to push Muslims to the margin. Law is there but it isn't implemented in spirit. For example, Bajrang Dal or VHP workers may create havoc but they aren't taken to task or booked. However, innocent Muslims are framed by police and they spend years in jail. The 'Saffronisation' is turning India into a medieval mobocracy. For an Indian, it is painful to write, but this is the reality of today's India.